After tryouts were completed, teams were selected, uniforms were ordered, and practices began, each competitive team within Next Level VBC was required to provide me with the name of a parent who would function as a Parent Council representative. 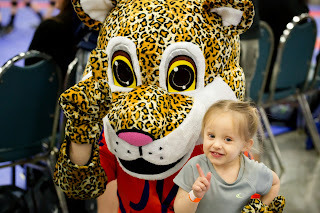 We met through this past month through April when many of the younger teams completed their competition season. While many of the high school age teams continue to compete, I felt it was better to stop sessions now rather than try to get parents to attend meetings when they were more focused on end-of-school and vacation planning. At our first meeting, everyone was given an agenda outlining topics I thought the parents might find educational and of interest. I defined what I believed to be the primary purpose of the council - "To open better lines of communication and to find ways to educate our parents" plus a few other things. Discussions included the club's handbook, uniforms, SafeSport Training, online fee payments, hotel accommodations, differences between JVA, USAV and AAU events, tournament costs, a "Personal Insights Profileâ„¢," fund raising, a new practice facility, and tryouts, along with many other topics, including those related to coaches - their training and club performance requirements. At the beginning, I found the parents to be hesitant and unsure of what their roles would be and what they were able to discuss. I followed up each session with an e-mail indicating several of the agenda items for the next meeting. As the sessions continued throughout the season, the parents were prepared in advance and clearly became more comfortable in expressing ideas and concerns. They've provided me with some good ideas. I'll be looking to make better travel arrangements for our "larger" families in the club that need more than a single double room for out-of-state tournaments. I'll be making some changes to the Club Handbook to better define some of the club's polices and will add a few sections to address issues brought to light this season. I've already moved forward with a better online payment source with lower fees - one that I hope will be simpler for the parents to use at fee collection times. I'll also be discussing topics with my coaches at our end of season meeting that came to light during our council session that I believe will be beneficial for coaches moving forward. One of my two favorite sessions involved everyone taking the Personal Insights Profileâ„¢ DISC assessment. The parents enjoyed taking the assessment and were amazed at the results. Having the parents participate prior to our athletes at the 15s, 16s, 17s and 18s levels led to a better understanding of the purpose of the assessments and what I hoped to achieve by offering it to our athletes. My second favorite, our final session in April, was by far the most animated. I opened the door for parents to discuss tryouts - the dates, the procedure, what coaches evaluate, how we track players through the tryout, and how offers are extended. I'm sure, as coaches and club directors, you're thinking I was crazy. Surprisingly, some of their ideas were good and most were in line with the procedure already in place. BUT, I absolutely refused to have players wear different clothing items identifying them as previous members of our club! I don't feel any player should be given any type of preference at tryouts - they need to work hard to earn a spot on one of our teams and not have it given to them. Amazingly, this was the session where parents provided the most insight and supported my decisions at the highest level. I was impressed with those representatives who took the time to e-mail their entire team with monthly updates about the meetings. They asked for input from team parents prior to each meeting based upon tentative agenda topics and provided parents with articles that I supplied - mostly to do with parent education (i.e., an article published by the JVA and written by Skye Eddy Bruce entitled: SIX Reasons Parents Should NOT Watch Practice, the USAV Spectator/Parent Code of Conduct, our Region's 10 Rules For Parents of Athletes, SafeSport Training guidelines, John Kessel's Grow The Game Together Blog article posted in March, and many others). Was everything perfect? NO. Did one or two representatives try to bring up complaints involving players or coaches? YES. I immediately shut down those attempts at discussion and invited the parent to stay after the meeting to discuss further, but made it clear to the group that the council was not to be used as a means for parents to bring up individual players or team complaints - these issues needed to follow the protocol outlined in our handbook. Did all representatives contribute to the discussions? Sometimes - mostly. My biggest complaint - the lack of attendance by certain team representatives. It was typically the same parents. In fact, some never showed up, one quit and had to be replaced, and some complained they weren't given enough notice (hmmm... I would think a full month's notice would have been sufficient). While some excuses were certainly valid, some weren't. The parents who were truly active on the council even went so far as to have another parent attend on their team's behalf if they weren't able too. My final project under the council's discussion and input is to finalize a survey to parents on various club topics. In the past, e-mail surveys were responded to by less than 10% of the parent membership. With the support of council members and their willingness to follow up with their teams, I hope to get some additional feedback from everyone! So, the question is, should I continue the council? I have to say that I fully intend to move forward with the Parent Council again next season. It was definitely a positive experience for me as the director of the club. I might screen parents a little better to determine if they will actually be active with the council and I'll work a little harder at preparing agendas that keep the parents animated. After all, the council can only be as effective as the parents who involve themselves. While I think the council worked to my advantage more than the parents this season, I believe now that they have a sense of how it will be run, their input will be more on point, and the council will become much more valuable to the success of the club! 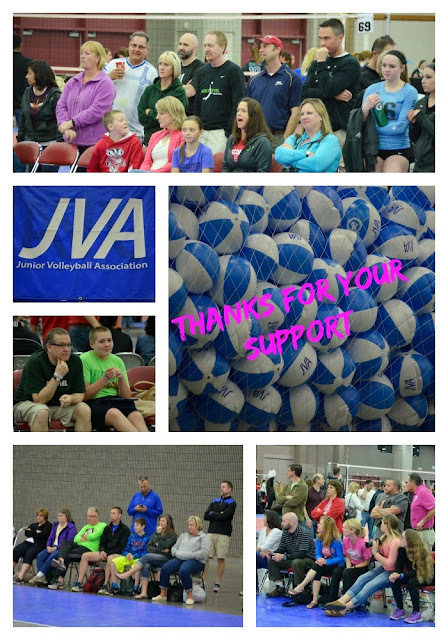 Next Level Volleyball Club is a supporting member of the JVA. To learn more about the JVA click here. This is Part II of Sharon's experience implementing a Parent Council. To read Part I click here.